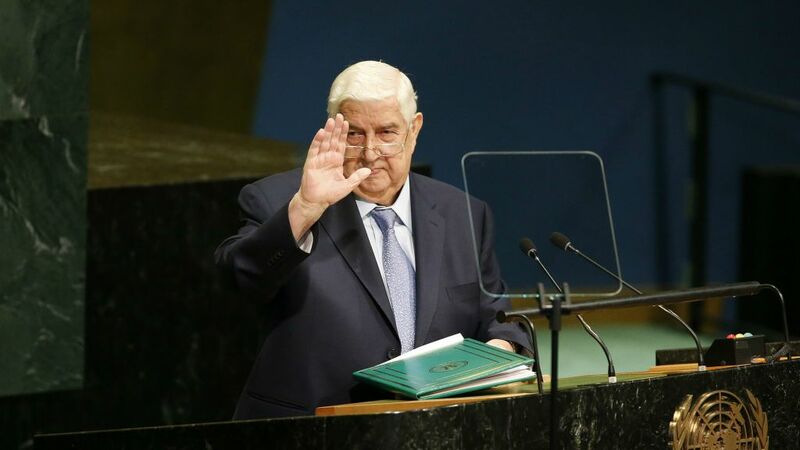 Pointing to renewed attempts by the Assad regime to overrun opposition areas with military action, Foreign Minister Walid al-Moallem has told the UN General Assembly that Russian-led de-escalation zones are “temporary”. Moallem (pictured) asserted that “victory is now within reach” with the reoccupation of areas such as eastern Aleppo city and Palmyra, the recent breaking of the ISIS siege of Deir ez-Zor city, and “the eradication of terrorism from many parts of Syria”. He praised the “constructive” role of the regime’s allies Russia and Iran and expressed hope that the four de-escalation zones — from opposition-held Idlib Province in the northwest to areas in the south — might lead to “an actual cessation of hostilities”. The largest of the zones, covering Idlib, was declared earlier this month by Russia, Iran, and Turkey. However, since last Tuesday, Russian and regime warplanes have been bombing across the province, following an attack on regime positions by rebels and the jihadists of the Hayat Tahrir al-Sham in neighboring northern Hama Province. 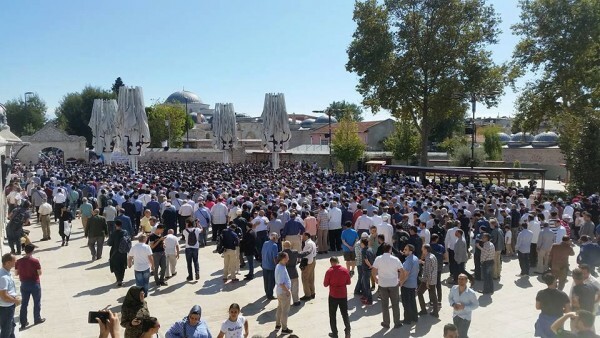 Turkey, under [President Recep Tayyip] Erdoğan, has persisted in its aggressive policies against the Syrian people and continued to labor under the illusion that terrorism will help serve its subversive agendas in Syria and the countries of the region. Turkey’s position stands in stark contrast to the positive and constructive role played by Russia and Iran. The so-called “International Coalition” led by the US, which was created three years ago to allegedly fight terrorists groups such as ISIL, has killed much more innocent Syrians, mostly women and children, than terrorists and has destroyed vital infrastructure that the Syrians have worked for years to build. In its latest compilation of casualties in the 78-month conflict, the Syrian Network for Human Rights has posted a tally of 212,786 civilian deaths. The SNHR says 192,793 people (90.6%) were killed by Assad regime forces. This was followed by killings by Russia (5,233; 2.46%); rebels (4,002; 1.88%); ISIS (3,811; 1.79%); “other parties” (3,556; 1.67%); the US-led coalition (2,217; 1.04%); Kurdish militia (758; 0.36%); and the jihadists of Jabhat Fatah al-Sham (416; 0.2%). Of the deaths, 24,309 were women — 86% of them killed by the regime. More than 26,000 children were slain, with almost 82.5% of the fatalities caused by Assad’s forces. In 2017, almost 17,000 civilians have been killed. The regime was responsible for 51.65% of the deaths, and Russia for 23.45%. Funerals were held on Saturday for dissident Aroubeh Barakat and her journalist daughter Halla, both murdered in Istanbul, Turkey. The bodies of the two women were found early Friday. Aroubeh Barakat, a member of the opposition Syrian National Council, was reportedly investigating torture in Assad regime prisons. Halla Barakat worked for pro-opposition Orient News. The Assad regime’s security services, who have carried out abductions and murders in Turkey, are suspected.